Just look outside - look at that lovely blue sky. With apologies to everyone living further north, where it may well be a bit overcast at the moment, sunny days really do make you yearn for lounging about with friends or lovers (or both) in a peaceful environment, surrounded by decent nosh, chilled beer and some proper music to keep your senses enlightened. Yeah OK, I've gone all 'hippy' on you - but now there is a way to share this vision in London (with a few thousand others) - the Serpentine Sessions. Last year's shindig welcomed Tindersticks, Bon Iver, Big Star and Regina Spektor to the East-side of the capital's most famous park. This year they have summoned another trio of excellent head-liners, beginning with the much-touted harmony folk-rock outfit Grizzly Bear who are kicking it all off on Monday 28th June, followed by the iconic punk-poet and activists Patti Smith Band on the 29th and the very-English singer-songwriter Laura Marling on the 1st May. A full supporting line-up will be announced very soon. Meanwhile tickets are available now but remember there are only 3000 spaces per day making it reasonably intimate and liable to sell out quickly. 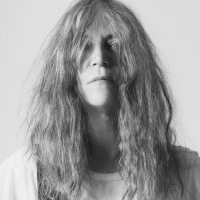 Without belittling Grizzly Bear and Laura Marling (both of whom are certainly worthy of your immediate attention), the Patti Smith show will sell fast - she doesn't tour with her band that often, certainly not in the UK.